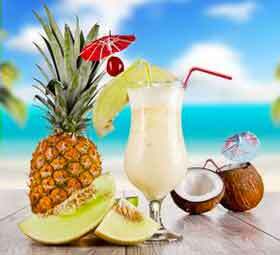 Will the Pina Colada Diet Plan result in healthy weight loss? Tropical fruit is really yummy – what would you say if you heard that eating these fruits and drinking tasty, healthy shakes could help you lose significant amounts of weight? The Pina Colada Diet Plan makes exactly this claim. 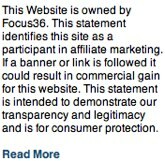 It’s certainly attracting a lot of attention and getting a lot of exposure. Does it really work? More importantly, is it a healthy solution? No. You aren’t going to be drinking cocktails, but you are going to be eating lots and lots of tropical fruits, drinking protein shakes as meal replacements and eating a number of other healthy foods. The plan involves the use of a weight-loss supplement and prescribes regular exercise. A fairly rigorous diet and daily schedule is prescribed. Here are the broad outlines. Water that has been frozen and then allowed to melt is drunk on waking up in the morning. The melting and thawing process is supposed to remove harmful salts from the water whilst preserving minerals that will be good for you. Thereafter, a meal plan that focuses on Vitamin C is followed. One or more meals can be substituted with proprietary brand protein shakes, but the menu actually sounds quite nice and includes such dishes as boiled eggs and spinach for breakfast, a stir fry of turkey and veg as a lunch and butternut with zucchini. Now here’s where the pina colada comes in: the re:Active Skinny meal replacement shake is a powder that you mix with water and have instead of a meal. You guessed it: it comes in pina colada flavour. You can expect to pay $66.50 for a month’s supply of shakes, garcinia capsules and the diet and exercise plan that goes with the pina colada diet. The designers of this plan have taken a holistic approach. They’re not claiming that any one element (Specifically their product) is responsible for weight loss. Instead, they’re advocating a healthy, low-fat diet and regular exercise that’s applied in conjunction with products that will make it a lot easier to stick to the plan. The products themselves are harmless at worst and are effective aids to weight loss when used properly. The shakes are nutritious and easy to make and garcinia is used in many weight loss supplements precisely because it is an effective ingredient with lots of research to back it up. In fact, Doctor Oz is often quoted as having said that garcinia is the ‘Holy Grail of weight loss.’ And Oprah Winfrey was a staunch supporter of this natural product as a dieting aid. If you follow the diet and get the recommended exercise, you’d lose weight anyway, but the garcinia helps to suppress your appetite and the protein shakes give you nutrition without a lot of carbs. The meal replacement shake doesn’t taste too bad. Although it isn’t much like the real pina colada, it’s still quite tasty and not too much of a chore to drink. It’s a low calorie diet. Some people, particularly those with specific medical conditions, may need a more substantial diet. If you’re concerned about this or suffer from any chronic ailment, you should talk to your doctor before attempting a diet such as this one. You’re definitely looking at some lifestyle changes and diet changes. Although this is probably a realistic approach, you need to be certain that you’re ready for a fairly strict regimen before you try it. It looks a bit expensive. Then again, it includes two products, a diet plan and an exercise plan and everything looks pretty healthy. Should You Try the Pina Colada Diet Plan? For once, everything seems to check out. The logic behind the program is flawless: healthy diet, regular exercise and a couple of items to help you along. The diet is well balanced so that you don’t have to fear deficiencies and neither of the products you’ll be using have negative side-effects. As long as you’re ready to follow the program strictly, you can be sure of effective and healthy weight loss. 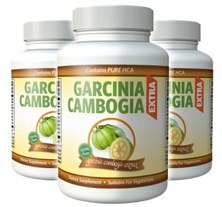 It could be argued that you will gain just as much benefit from using a high strength garcinia cambogia tablet and embarking on a rather less complex diet. Developed by British medical journalist Michael Mosley, the Fast Diet is intended to help men and women of all ages to lose weight and get healthier while still eating most of their favourite foods. A documentary commissioned by the BBC proved immensely popular that Mosley, tother with author Mimi Spencer penned the best selling book titles not unsurprisingly the ‘Fast Diet’. It has become so popular that it has spread across the Atlantic to America where it is also garnering rave reviews. Is it all hype and just another diet fad or should it be taken seriously? 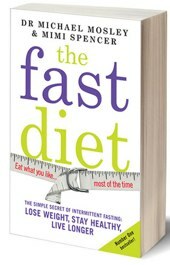 The Fast Diet is based on the principle of the 5:2 Diet – it works very simply. One eats their normal diet, or uses recipes from the Fast Diet Recipe book that contains hundreds of delicious and healthy meal ideas, for five days. After those five days, for two days men and women will be required to cut their calorie intake down to one-quarter of their normal intake. This translates to about 500 calories for women and 600 for men. And it does much more than just help people to lose weight. It forces the organs of the body to work harder and much more efficiently, a self-cleanse of the body is one way to think of it. Studies have shown that it can also help in preventing of certain cancers and neurological diseases such as Alzheimers. Michael Mosley is a medical journalist who is a familiar face to to British TV viewers. His documentaries on the BBC (Horizon) are often watched by millions. Michael doesn’t appear to have an agenda as such – he is not a sensationalist, and pretty much tells it as it is. he often participates in own experiments. You may be shocked to learn that the 5:2 Diet was practised for generations by our ancestors since man first evolved, though the schedule of famine was probably not as rigid as the one proposed here. When tribes of humans had a successful hunt, it was followed by a period of gorging themselves on the new kill. Of course after that was gone, there was a period of fasting that followed until another successful hunt. There have been studies done since the 1930’s that tend to point out that having food always available is not in our best interests. 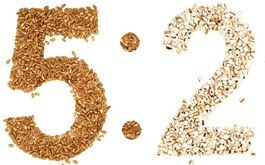 The 5:2 Diet is also used by oncologists to help their patients to better endure the process of chemotherapy. There has been lots of attention given to the 5:2 Diet as in the social media circle it has its own Facebook page with over 8,000 “likes” and their own Twitter page. It has also gotten the support of celebrities such as American actress Liv Tyler who has been frank about using the product to get herself in top shape for bikini season and some of her cinema roles. There have been one or two critics suggesting that Fast Diet could slow the metabolism – watch Michael’s rebuttal. There are several places where you can read about the actual experiences of those who have been in the 5:2 Diet. One of these places is the blog of Marie Claire, a British fashion and beauty blogger. Many of the people here have reported losing up to 40 pounds on the diet and feeling and looking better than they have in years. The 5:2 Diet is not without its critics (as mentioned above – or a few side effects that people need to be aware of before on embarking on it. Getting by on only 500-600 calories is more than enough to make some people more than a little cranky and irritable. Some of the other side effects that can occur with this diet plan are bad breath, anxiety, and problems in getting a good night’s sleep. This diet should also not be undertaken by women who are pregnant or who are nursing. There are a lot of things to like about the 5:2 Diet. Their interactive web site has lots of resources for those who embark on the diet including a support group to inspire success, so anyone with an internet connected computer will always get support when it is needed. It also includes a diet plan recipe book with hundreds of tasty recipes that will not add to a weight problem, and positive reviews from a number of independent sources adds to the confidence level of making a positive endorsement for this weight loss plan. It can also provide for other health benefits in the short and long-term and there are no expensive pills or tablets to take multiple times a day. The 5:2 Diet, or Fast Diet is a favourite of many of today’s top celebrities, so perhaps it is time to find out what all of them are talking about and see what this diet can do for you. 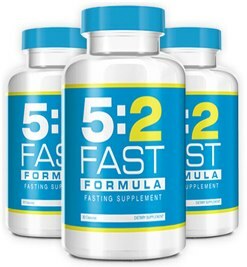 The 5:2 Fast Formula has been released that can compliment the Fast Diet. The 5:2 Fast Formula is a natural appetite suppressant that can help participants of restrictive diets through there fasting days. It can also provide vital minerals and vitamins that could be lost when reducing calories. The 5:2 Fast Formula is available to buy direct and comes with a full money back guarantee.